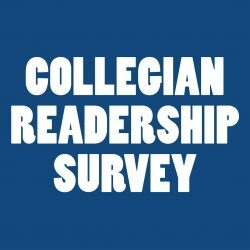 The Fresno State men’s basketball team came back late in the second period Saturday to hand Boise State a 70-64 loss, snapping the Broncos’ eight-game win streak on a night when the Bulldogs honored the passing of former player and legendary coach Jerry Tarkanian. Head coach Rodney Terry credited the second-half defense for its efforts, as it held the Broncos to 22 points compared with the 42 the Bulldogs allowed in the opening half. “Coach Tarkanian’s teams always played extremely hard, especially on the defensive end,” head coach Rodney Terry said. “That’s something that we’ve been trying to buy into as a team since we got back from Christmas break. Tonight, I felt like our guys played and guarded extremely hard on defense. The Bulldogs (12-13, 7-5 Mountain West) worked their way to a 12-point lead but saw it erased down the stretch of the first half by the Broncos. Star point guard Derrick Marks helped the Broncos (18-6, 8-3 MW) storm back to take a 42-40 halftime lead. Coming out of the break, the Broncos scored six straight to extend their lead to 48-40. They led the Bulldogs all the way up until about the two-minute mark, when Alex Davis sunk a pair of free throws to tie the ballgame up at 61. Davis recorded nine points and five rebounds in Saturday’s win. Marvelle Harris then helped Fresno State take the lead on the Bulldogs’ ensuing possession by driving up the lane and scoring on a layup with 1:33 remaining in the game. Harris’ effort gave the ‘Dogs a 63-61 lead and helped spark a 7-3 run to close out the game. Harris, who continues to be one of the top scorers in the conference, led the way for Fresno State with 24 points on 9-of-13 shooting including 5-of-8 from 3-point land. Julien Lewis was second on the team, recording 15 points, four rebounds and a steal for the Bulldogs. Marks scored a game-high 31 points for the Broncos. 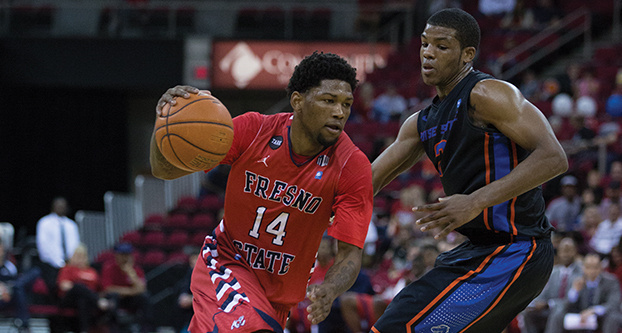 Fresno State takes on Colorado State (21-5, 8-5 MW) today at the Save Mart Center for a 7 p.m. conference matchup.